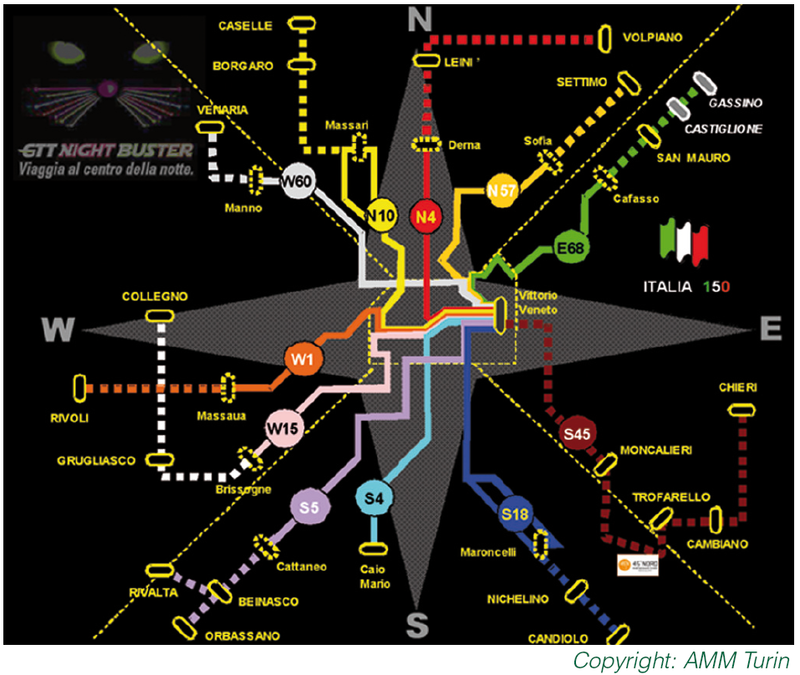 Turin night bus network is growing. one way tickets and passes are allowed with no extra charge. means “middle” but also “city centre”. A promotional video clip has been created and published on YouTube. and a further 30% in the third year. and 2010 with a good demand response. as a result 11 bus routes serve the main city and 22 municipalities. and avoid the traffic jams.